Indians have always been artistic people and their arts have been a way of life for all of us. This can be traced back to centuries and the colorful cave paintings at Bhimbetka are a testimony of the same. As the pages of antiquity crooked, various artistic marvels of the Indus Valley Civilisation such as pottery, clay work, and other handmade effects attracted the world towards It. Let us not forget that following our independence from the colonial British it was India that made the entire world see the artistic geniuses of the likes of the famous painter M F Hussain. Thus, it is obvious that for a country with an absolutely rich and widespread artistic history as India, there is a huge chunk of the young population who are interested to explore the artist within them. Fine art is pursued by those who have an artist hidden in them. Fine Art is something that is made purely for beautiful purposes, just for looking pretty or sounding beautiful. Fine Arts typically include areas like sculpture, painting, sketching, music, printmaking, etc. There is a lot of scopes to explore in the field of fine arts as one can work for museums, private collectors, art galleries, etc. or come back to the roots and teach a new generation of students. By going into Fine Arts, you keep your options open by opting for a generic education, which will form a base for any further specialized education that you want to take up in the future. The Bachelor of Fine arts is a 4-year program which is spreads across one's visualization skills and relates to arts such as drawing and sketching. It helps the students to have a skillful career ahead that is creative and brings out the artist in you. There are various job opportunities that a student of fine arts can obtain. One can opt for being a 3D artist, art director, graphic artists/designer, editor, art teacher, production artist, furniture designed, creative director, art critic, music teacher, set designer, freelance workers, senior graphic designer, sr. art director, and can render their own self towards various lucrative opportunities that are laid ahead for them. Also, there are specific careers that one can make out of Fine Arts such as animation, several types of designing such as interior designing, graphic designing, and other careers such as visual communication. Ranked among the top arts colleges in Punjab, University Institute of Film and Visual arts promotes the overall expansion of artistic skills of the students and the manifestation of their creative processes. You will gain a strong groundwork in traditional art forms like drawing, painting, and sculpture, with far-reaching studies in video, installation, performance, photography and digital imaging. Join Chandigarh University and let the artist within you speak volumes about the talent it possesses. The global tech sector is flourishing, of this there is no doubt. From the home to the workplace and beyond, mankind’s limitless need to stay connected is what drives this thirst for more advancement in the field. And though there are those who despise the effect that technology has on us today, many have begun to understand its countless benefits and are beginning to squeeze it. B.Sc. Computer Science is a 3 year undergraduate program which deals with subjects and topics related to computer application and services. Technological implementation of computer systems is the main agenda of the program. The program ranges widely from creating quality professionals and research fellows who are working in every sector of the world today. B.Sc. Computer Science is the study of principles and fundamentals of computers, where latest technologies and trends are the most important topics. Graduates with this degree have opportunity for the industries like Computer Science and Engineering Consultancies, Computer Science and Engineering Department, Research and Development Agencies and Schools etc. 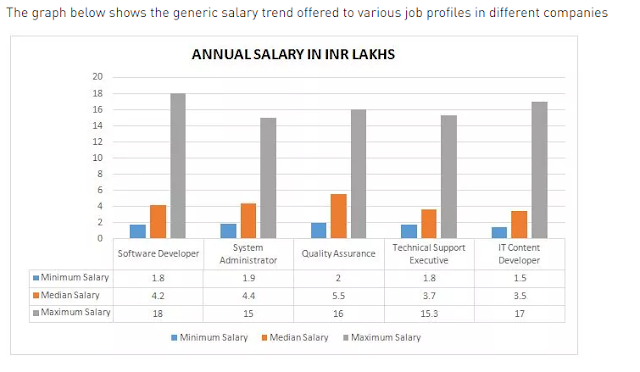 Computer science professionals can also showcase their talent and work as System Integrator, System Analyst among many other job profiles. The course equips students to work as Software Engineers in renowned IT companies that offer them a decent salary that increases with experience and expertise. It is concerned with understanding, designing, execution and solving issues related to computer systems and applications. University Institute of Computing at Chandigarh University offers Bachelor of Science (BSc) in Computer Science to its students in accordance with the contemporary trends of the Technological world. One of the best Computing institutes in the region, UIC offers a three year undergraduate degree to the students. Students after completing their graduation (BSc) in Computer Science have innumerable opportunities in both public and private sector organizations. Top IT firms welcome students who have completed their graduation in computer science at hefty pay packages. Students can work in entry-level positions like Trainee Programmer, Software - Tester, Computer Scientist, Analyst, Engineer, Administrator and Programmer. Come, Join Chandigarh University to give your Analytical & Computing skills a new direction and give a bright start to your career. Information Technology (IT) sector has increased its contribution to the GDP of India from 1.2% in 1998 to a whopping 7.7% in 2017 and it is expected to grow to a staggering market value of US$350 Billion by 2025 with double the number of job opportunities as of now simultaneously generating a revenue generation of around 7-9%. According to NASSCOM, the IT industry is expected to register a growth of 30 to 32 per cent in the near future whereas the domestic market has already grown by 24 per cent. Bachelor of Computer Application or BCA is a three-year full-time graduate degree program in Computer Applications. BCA is one of the most sought-after courses in Computers for graduation in a huge number of students who want to shape their careers in the world of Information Technology and its associated service area. BCA is a course which has enough potential to generate employment for fresh graduates right after completion of their graduation. Enrolling into BCA enables a student to get exposed to a great number of opportunities in the job sectors such Banking, Govt. 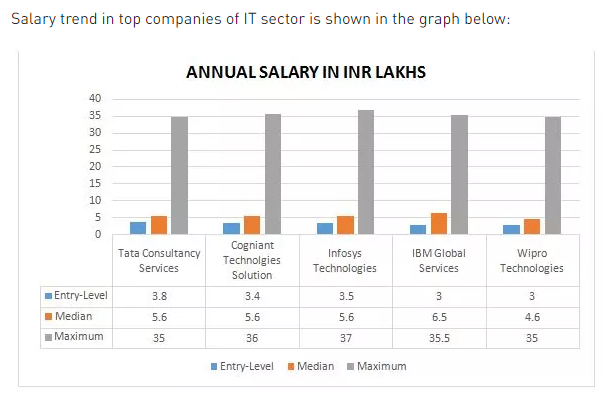 Sector and IT Industry. Numerous students often undertake positions in the industry after BCA because there are ample opportunities to shape their career. Recently, companies in the IT/ITES fields including some big names as TCS, Wipro and Cognizant are displaying growing interest in recruiting BCA graduates for various posts in their organizations. BCA graduates have good scope in jobs as a Web Developer, Web Designer, Network Administrator, System Manager, Computer Programmer, Software Developer, Software Tester, etc depending on the skills you acquire during your BCA. Various companies, organizations, and MNCs such as Wipro, Infosys, HCL Technologies, TCS, Capegemini, Tech Mahindra, etc. offer the above-mentioned jobs to BCA candidates. BCA offers tons of opportunities to students who are always ready to learn and are not afraid to work hard. One needs to be open to learning new skills and grabbing opportunities coming their way apart from having just the bookish knowledge to grow smoothly. This will help the students gain experience and learn about real-world challenges. University Institute of Computing (UIC) at Chandigarh University is one of the best colleges in Punjab, North India to get a degree in Computer Applications. Its hands-on approach paves the way for a smooth change to the workforce after graduation. You will be equipped with the best knowledge, skills and passion to succeed in any number of computing professions this versatile degree prepares you for. If you’re someone who is always open to new experiences, then the I.T. sector will welcome you with open arms! 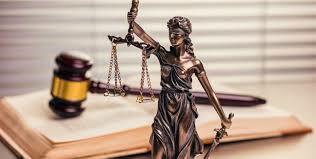 Legal education is a very widespread career choice in any country and certainly one of the most appreciated professions with a wide range of career potentials. It has experienced a number of changes in the last two decades which have aided the young aspiring students who want to pursue this prestigious domain of education. At present there are more than 10, 00,000 advocates in India and the number is swelling with 50,000 new enrollments every year. It is an attractive profession with wide career prospects in the future such as Indian Legal Services, Litigation, Taxation, Corporate Management, Administrative Services and so on. As Indian Economy is growing at a steady pace the demand for skilled professionals in the field of law is going up too simultaneously making the traditional work for lawyers stay strong and competent along with a surge in their mandate too. Gone are the days when black robes and courtrooms where the bread and butter of lawyers. From upscale corporate offices to jobs in movies and the media, lawyers have swayed away from the orthodox practices and now are very much a part of the real world. Talks are on to expand the scope for legal practice in India and open the gates for law graduates so that they can expect better job opportunities. 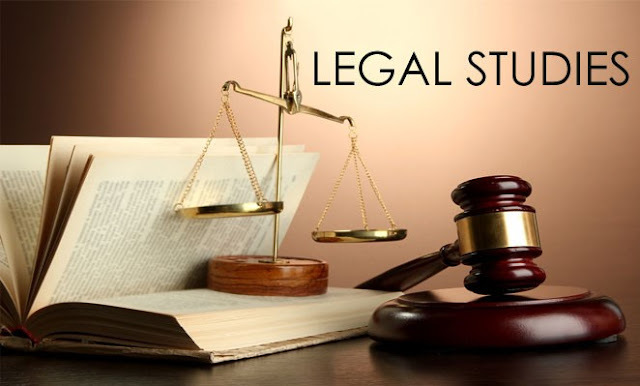 Legal education has been liberalized in India which ultimately will help to raise the standard of legal awareness. Choosing the right law school where the administration has a vision and understanding of where the legal market is headed is very important. University School of Legal Studies at Chandigarh University has been ranked one of the best law colleges in Punjab for being the centre of distinguished legal research and learning. UILS is committed to provide intra disciplinary skills to its students and makes them understand various complications of the legal world by making them smart, presentable and confident in voicing their opinion. It provides a fully effective placement program that narrows the gap between the students and legal profession by regularly breeding opportunities for the students. Chandigarh University has the largest student friendly ambience with amalgamation of culture and diversity. Join, Chandigarh University and give your career a new guiding light. With the dawn of globalization and automation, there has been a significant increase in the popularity of service segment. Hotel Management is amongst the fastest growing sectors and is offering expanded career prospects. According to the World Travel & Tourism Council, the Hospitality & Tourism sector employs more than 235 million people worldwide annually. It creates a platform for the aspiring students to get well versed with required Practical and Management know-how. The right skill-set and aptitude can help hopefuls to build an insightful career in the Hospitality sector. Hospitality & Tourism is a highly Occupation oriented career prospect which is professionally inspiring and personally rewarding. Academic excellence in Hospitality Management helps the students focus on the inside outs of Hospitality industry which is quickly proving to be a lucrative career provider. It not only provides classroom studies but also offers hands on work experience in many operational segments. Students who complete their courses in Hotel Management are absorbed in various positions. With the increase in Globalization Hospitality world has become one of the premiere choices of students as it not only offers Global exposure but also gives them an opportunity to diversify their career options from Food Service to Accommodation to Catering and so on. With the increasing number of worthwhile career options Hospitality industry has a constant requirement of students who can do well at the top most level. UniversityInstitute of Tourism & Hospitality Management at Chandigarh University offers specialized programs that are well suited for all those aspiring students who want to give a prominent start to their niche career in Hospitality world. UITHM is home to best in class professionals, hospitality leaders and entrepreneurs of tomorrow who are tutored in concurrence with latest developments in the sector. With the likes of Walt Disney, The Taj, Oberoi group, The Hyatt, Vistara, Jet Airways being the core group of recruiters, the highest package offered was 18 Lacs per annum. Equipped with the internationally skilled faculty, UITHM peculiarly balances the theoretical and practical fundamentals of education with real life understanding. Join Chandigarh University and give rightful directions to your career with North India’s Leading Educational Hub. Despite facing cash crisis and other major issues, various state-owned banks including State Bank of India, Bank of Baroda, Canara Bank and Syndicate Bank are expected to go ahead with staffing of about one lakh personnel in the current financial year to match up with the requirement of new-age banking needs and grow their business. The number is more than double the number of people hired by these banks in the last two years. Notably, PSU banks collectively hired 95,000 in last two years for positions like clerk, management trainees and probationary officers excluding the number of lateral hirings done by the bank. PSU banks are likely to proceed for specialist recruitment such as wealth management, analytics and customer services simultaneously enabling the State-owned banks to be competitive post the battle with huge number of bad assets. The PSUs are hiring more officers and few clerks. Barring State Bank of India, 20 per cent of total employees in PSBs fall in the category of clerks. The SBI has currently around 45 per cent employees as clerks. University School of Business (USB), ranked among the Best Management Colleges in Punjab has earned recognition for its unique style of teaching & experiential learning. The attribute that makes learning business management exclusive at USB is its specialized approach paired with a research focus, innovation culture and entrepreneurship zeal backed by world-class facilities. Recognizing USB's high standing among the best B-School of the region, various top-notch companies have collaborated with us to have the best industry sponsored courses and lab facilities. The Board exams fill in a lot of pressure and nervousness. But the real journey starts post the examinations when students have to choose a course that can help them build a satisfying career. While traditional preferences like engineering, medical remain go to options for the students, other courses like event Management, Journalism, Hospitality too, are picking up fast as they come up with exciting career prospects. 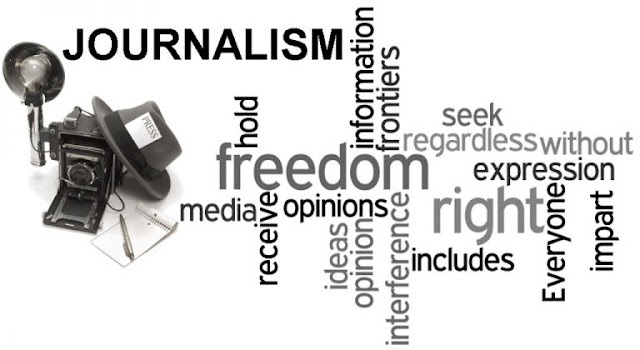 Vigorous demands, attractive opportunities, higher investments, increasing number of job opportunities are some of the major factors that are paving way for Indian Media Industry to grow up tall in global media market and match the benchmarks. With the advent of Social Media, the entire demographics have changed and people have started to look at the media industry as a highly lucrative career option. The number of Social Media users would increase to around 300 Million in India in 2020 as compared to 158.7 million in 2016. 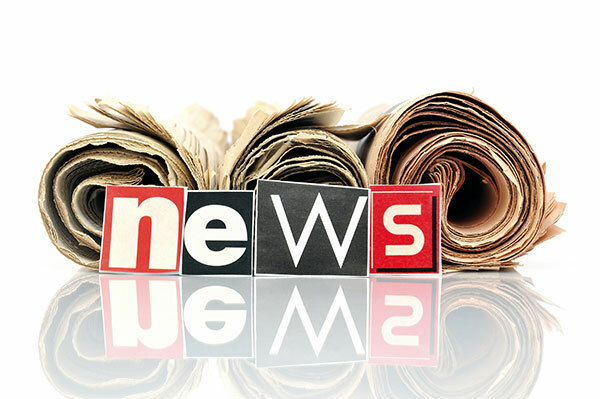 With such an increase, the demand for quality professionals in the media industry has also popped up to a certain extent. 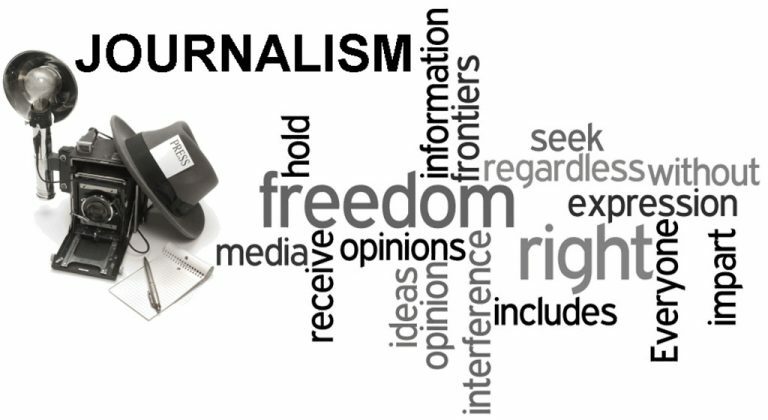 Apart from Government owned media houses, numerous privately owned media houses have also emerged on the scene and are offering well-paid jobs in various divisions. University Institute of Media Studies (UIMS) at Chandigarh University is ranked among the Best journalism and mass communication colleges in Punjab. At UIMS the primary objective is to create talented individuals who are industry ready as soon as they complete their education. The state of the art infrastructure and steadfast faculty ensure quality education for all our students. In addition to academics, ample opportunities are provided to the students to develop their overall capabilities as budding future communicators. This is executed by exposing students to frequent experienced industry professionals visits from which they can learn the nuances of Media Industry. Students at UIMS have been placed at well-known Media houses such as ABP, India News, Goldmine Advertising, CNN-IBN, Network 18 and so on hence providing their career a flying start. This ensures that students have an appealing and a notable experience studying at the University Institute of Media Studies.